Have you ever wondered how a letterpress print is made – from the first idea to the final product? 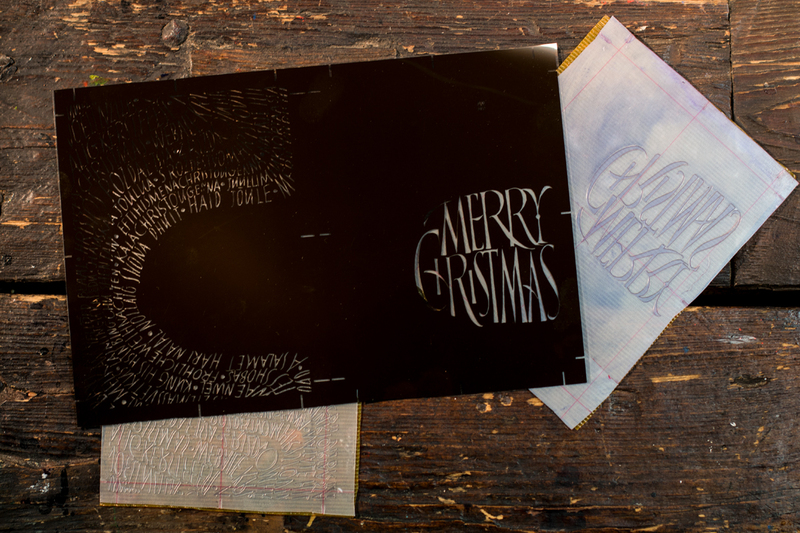 Explore the creative process behind the making of our products – today our new Christmas greeting card! 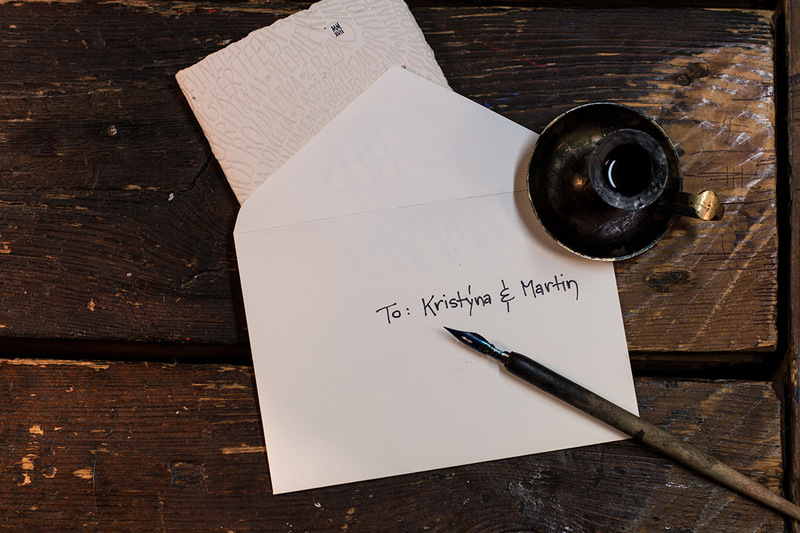 Letterpress suits calligraphy exceptionally well – that is why we like to combine it in our designs. 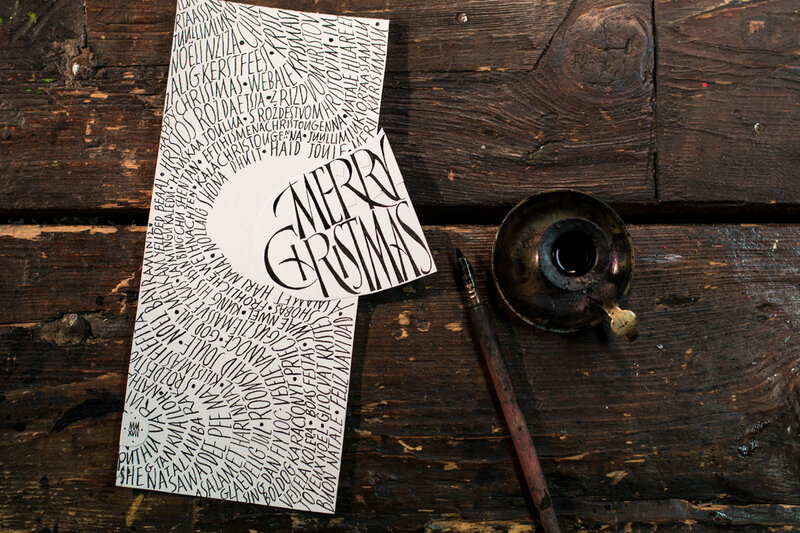 Our calligrapher Tatiana designed this combination of Merry Christmas wishes in different languages and calligraphy scripts. Even the most skilled calligraphers sometimes make mistakes. Luckily, you do not have to start over when preparing calligraphy for print – you can simply cover up a minor mistake and edit it out later. That is how you end up with a paper calligraphy collage. Once the drawn design is done, we scan it, edit it, and then make photopolymer clichés out of a negative print on foil. Each colour needs its own cliché, as each colour is printed separately in letterpress. Have you noticed that the composition has changed? 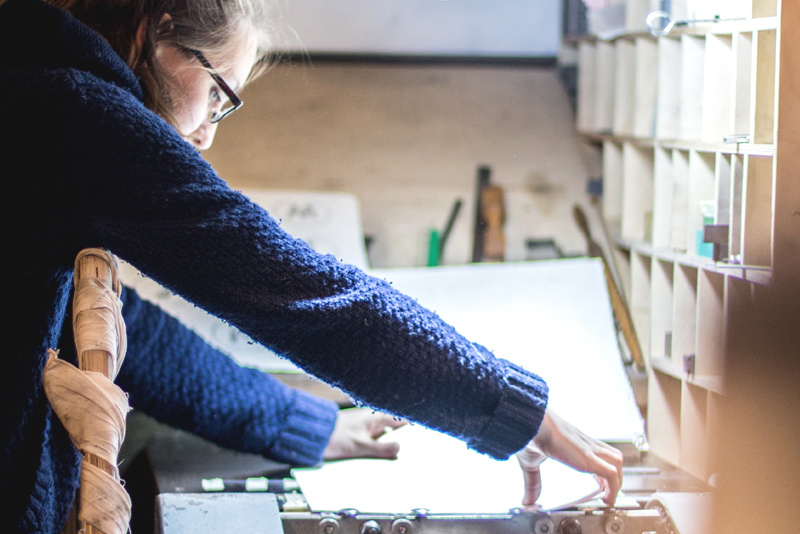 As our printmaker, Hannah, would tell you, set up and clean up take the most time in printing. Every new colour means cleaning up the letterpress and registering a new cliché. 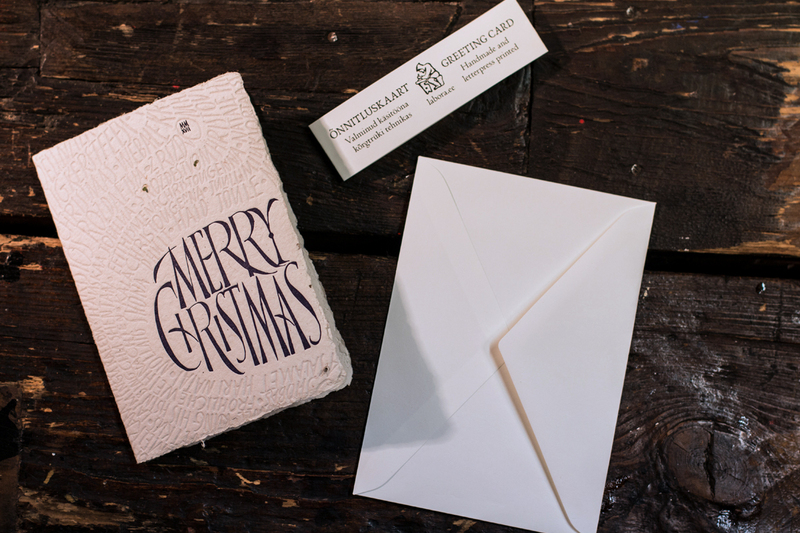 This Merry Christas card went through our Korrex Nürnberg letterpress twice. One card at a time, Hannah puts the handmade paper in and turns the wheel there and back again to apply one colour. This single Christmas card goes through our hands seven times before it reaches you! Three times while making the paper, twice while printing, and then when we fold it and pack it for you. Once it is in your hands, it is up to you to choose to whom you would like to write and send it to!